William Shakespeare. The mere mention of the English poet, playwright, and actor conjures up images of memorable plays or not-so-memorable English Lit reading assignments. 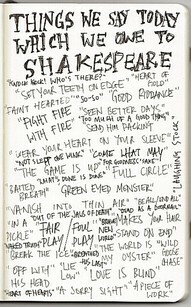 I was never a huge Shakespeare lover but I do respect and appreciate his legacy. It’s a legacy that 400 years ago today came to an end with Mr. Shakespeare’s death on May 3, 1616. Love is blind? Check and double check. Amazing, right? No wonder his legend didn’t vanish into thin air following his death. Oh wait, that’s one of his lines too. Famous and amazing yes, but William Shakespeare is also somewhat of a mystery. 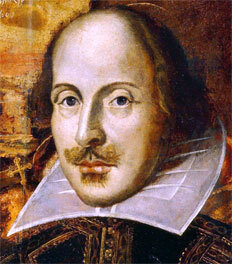 Though no birth records exist, Biography.com notes that church records indicate a William Shakespeare was baptized at Holy Trinity Church in Stratford-upon-Avon on April 26, 1564. Most scholars observe April 23, 1564 as his birthday, allowing for the three traditional days between birth and baptism. After that, very few records exist of his childhood and virtually none about his education. Legendary writer of many a student’s books and yet his own education is unknown? Cue the mystery. That’s right. Although works by William Shakespeare are known throughout the world and have been performed on every corner of the globe for more than 400 years, his personal history has shadowy origins. In fact, his story could easily be one of his productions! Other than church and court records, the only historical sources historians have to work with are his works. Maybe that’s how he wanted it to be. What is known is that he was the third child of leather merchant John Shakespeare and his wife Mary Arden, a local heiress. Young William had two older sisters and three younger brothers. When he was 18-years-old he married 26-year-old Anne Hathaway and they later had three children, including twins. Now is where his life really gets cryptic. Following the birth of the twins, there are seven years of Shakespeare’s life that are called the “lost years,” as no records exist of him or his family. Speculation varies as to what happened during this period and some even question whether William Shakespeare really existed. By the early 1590s however, documents show a William Shakespeare was managing partner in the Lord Chamberlain’s Men, an acting company in London, and that he was indeed earning a living as an actor and playwright. He may have even produced some plays during this time. The years that followed were some of his most successful, as 15 of his 37 plays were published; earning him enough money to purchase the second largest house in Stratford called New House. Soon after, Shakespeare and his partners built their own theatre on the banks of London’s famed Thames River. The rest as they say is history. Literally. Even in his writing though, Shakespeare danced to a beat all his own. His early plays were written in the conventional style of the day but incorporated elaborate metaphors and rhetorical phrases that didn’t always align naturally with the story’s plot or characters. 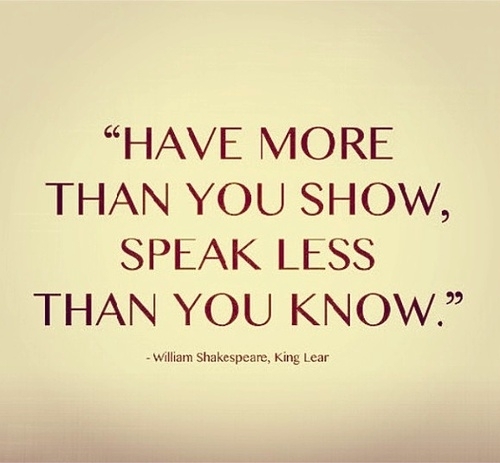 Shakespeare was not only very talented but very innovative as well. Even with little or no education, he learned to adapt the traditional writing style of the times while creating his own free-flowing technique.